This is O.P.I. 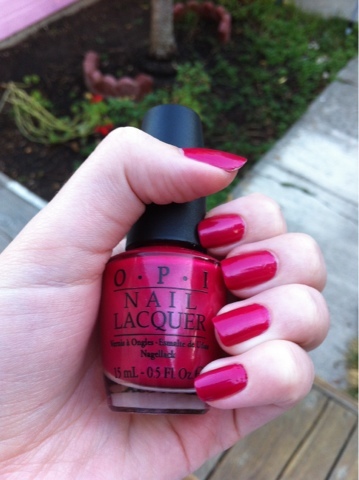 "California Raspberry"
I have fallen in love with this color! It looks very pretty on and I think is great for evening and daytime outfits during the Fall. Reds are always big for Fall and Winter. 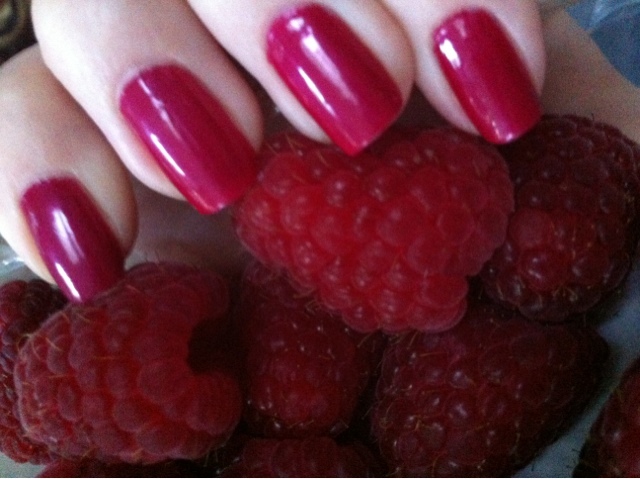 Going with a raspberry shaded red can be a good idea if red nail polish is too boring for you. 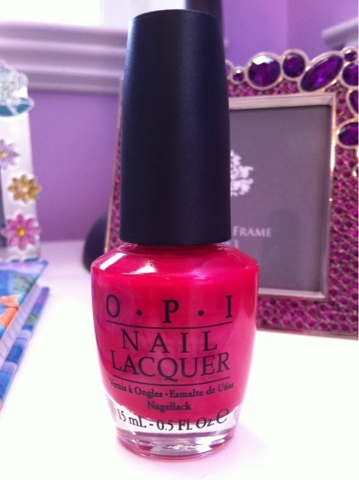 I took pictures of the nail polish is different lighting. Trust me, it looks better in person. 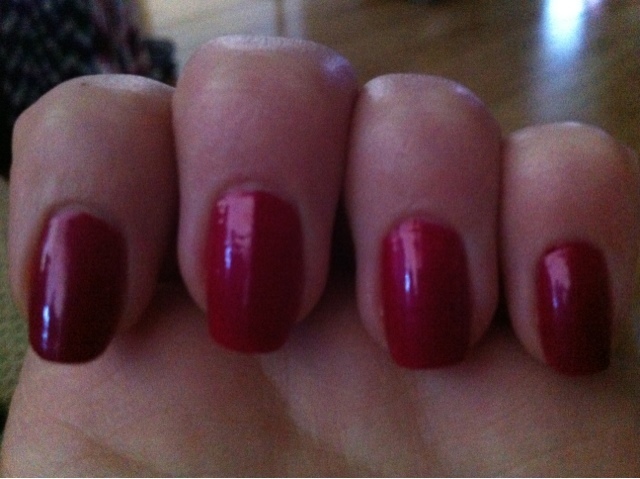 I have had this nail polish on for four days and it has not chipped yet.